Sometimes history is like a giant game of telephone; the further information travels from its source, the more jumbled it gets. 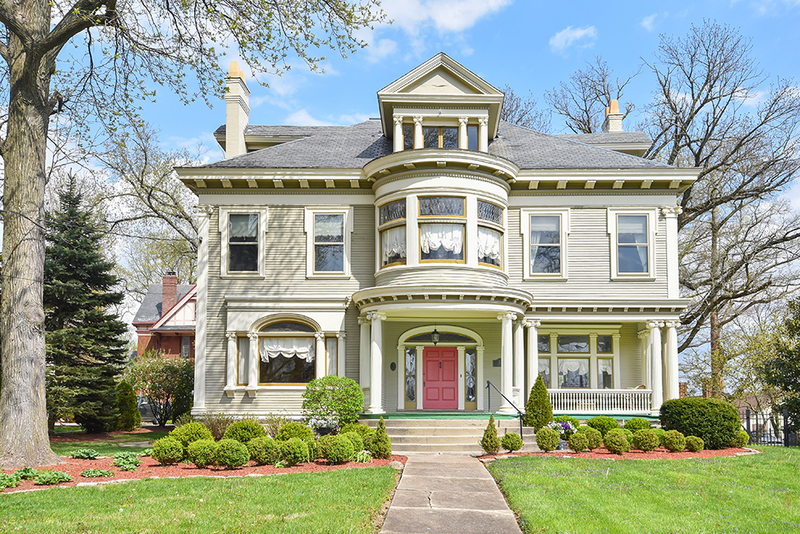 Consider this 1895 structure at 3732 Clifton Avenue, whose walls are peppered with framed documents from a man named Gideon Burton—a Delaware native who moved to Cincinnati in 1848 and became a successful wholesale boot and shoe dealer. The thing is, Gideon Burton didn’t actually build this home. It belonged instead to his son and daughter-in-law, Captain William T. Burton and Jennie Langdon Burton. In fact, according to both the original drawings of this home’s plot of land and its building contract, the structure was designed by architects Giannini & Moorman simply for Mrs. Burton—no mention of either man in sight. Now, 123 years later, the clapboard-sided structure remains immaculately kept and resembles a very livable late-1800s showplace from the start, thanks to a welcoming portico-slash-front porch capped by an eye-catching semi-circular bay of second-story windows. 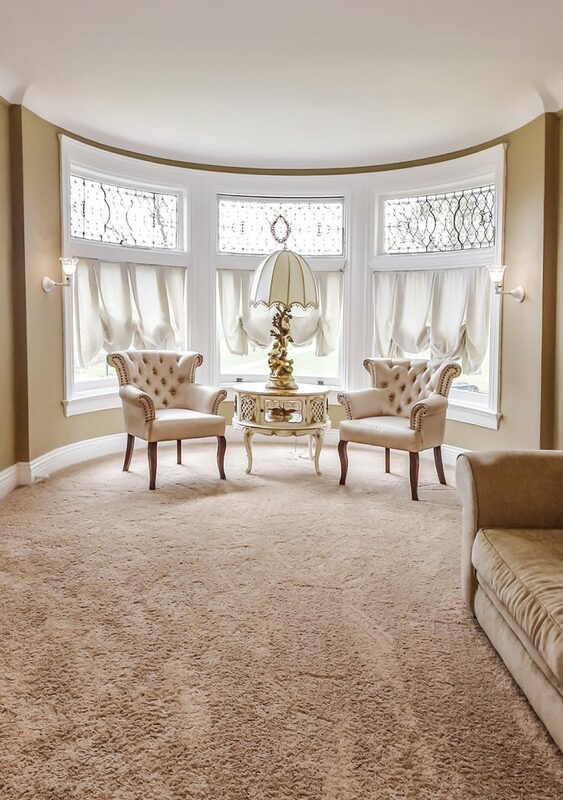 Other design features include intricately patterned lead-glass throughout, white columns flanking the front entry hall, and a curved, cushioned window seat halfway up the main staircase. 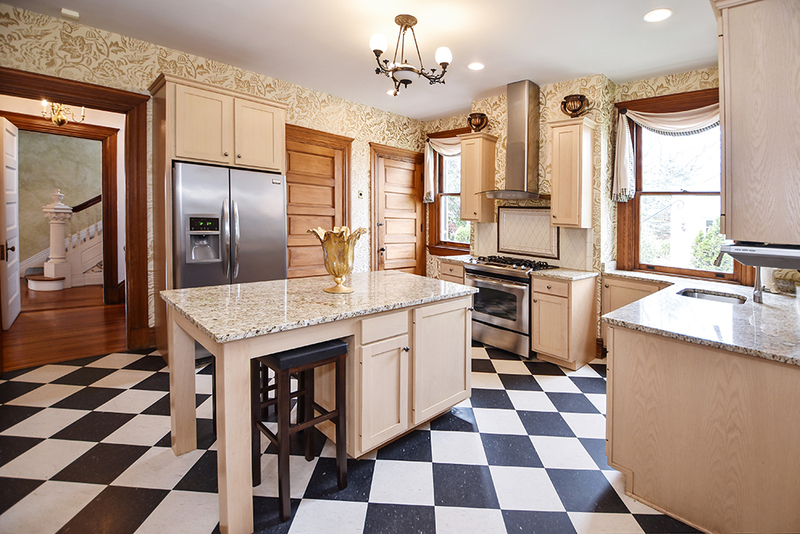 We’re also fond of a few small spaces on the home’s first floor: a powder room with original Carrera marble slab walls; a small, window-filled china closet with beautifully aged wood countertops; and a picture-perfect back porch with green stairs, a red door, and lacy white lattice-work. 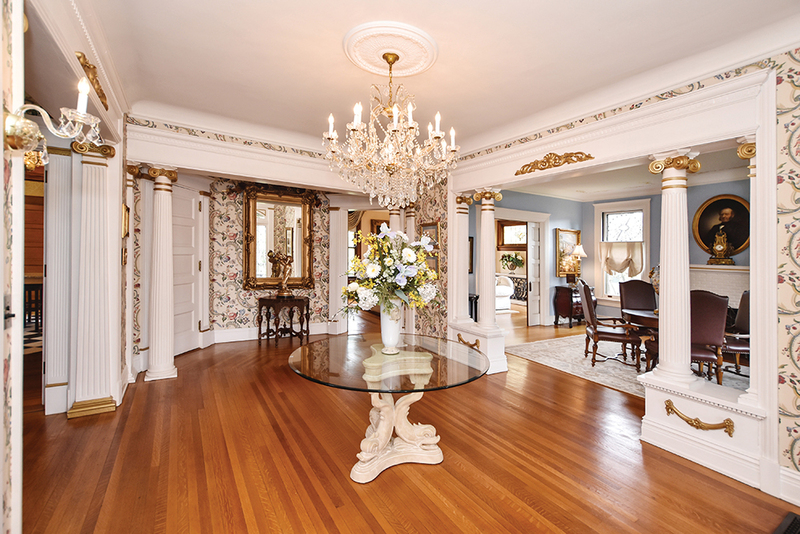 The home has hosted a fascinating array of owners, including Jim Tarbell from 1986 to 2000 and—most recently—former UC Business School Dean David Szymanski and his wife. Now, there will be new owners yet again (the property sold quickly this spring; asking price, $650,000). Included in the sale are those framed documents and artifacts—pieces of a puzzle that time had slightly obscured: receipts from Gideon Burton’s shoe business, black-and-white photos from the home’s past, and that original builder’s contract, too, with Jennie Burton’s name on it—perhaps proof that 1895 Cincinnati wasn’t as stodgy as you might think.